Andrea Eickhoff, vice president of real estate lending at Olmsted National Bank in Rochester, says, “There are multiple reasons why a client would consider a refinance.” Eickhoff explains the three most common types of refinances are refinancing for a lower interest rate, for a different term (either shorter or longer), or to receive cash-out. To receive cash-out, she notes the homeowner taps into the equity of their house to use the funds for debt consolidation, home improvement or college expenses. “Whether it is a good time or not to refinance could honestly be a different answer for every client. 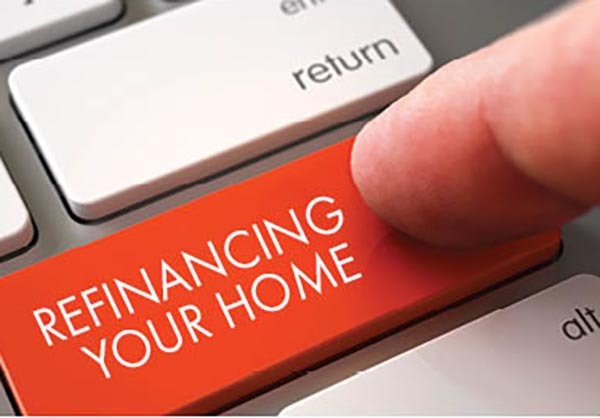 That is why it is important to sit down with your loan officer to review your personal scenario, calculate the costs versus benefits and determine if the refinance is a good fit for you,” Eickhoff adds. Holtan suggests that if you’re unsure about whether or not refinancing is a good option for you, it’s a good idea to talk with a trusted mortgage professional. He says the majority of financial institutions in Rochester offer mortgage services, including First Alliance Credit Union. “A trusted mortgage professional should be willing to explore all your refinancing options to help you meet your goals,” Holtan adds. Keep in mind that you will likely have to pay closing costs again when refinancing your mortgage loan, because you are essentially taking out a new mortgage. It’s important to take these additional costs into consideration when deciding to refinance your mortgage. Alison Rentschler is a writer and editor living in Rochester.